Following the successful collaboration between Bang & Olufsen and Bentley Motors to provide immersive sound experiences for the Bentley Continental GT coupe in 2017, the two brands have joined forces once again to equip the all-new Bentley Continental GT Convertible with sensational sound. The brand’s sportiest version to date, the new Bentley Continental Convertible GT, or “GTC,” is expected to be available starting in early 2019—just in time to ensure a particularly sweet-sounding summer. Launch events surrounding the Bentley Continental GT Convertible will take place at the end of November in six cities around the world, with the opportunity for customers, prospects, media and influencers to discover the Bang & Olufsen sound system and learn more about the visceral BeoSonic one touch experience. As with all convertibles, the Continental GT presented a challenge to acoustic engineers, since low frequencies tend to leak from the cabins of convertible cars when the top is down, allowing wind, engine and road noise flow in freely. 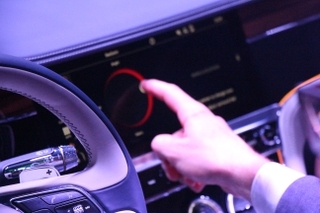 To resolve this problem, Bang & Olufsen engineers devoted special attention to the sound system in the Bentley, devising a system to automatically boost the frequency bands most compromised by wind and engine noise when the car begins to travel faster, in addition to optimizing overall performance with the top down. 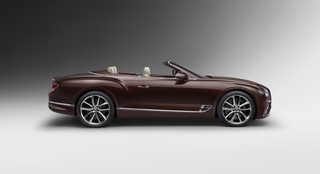 The Bang & Olufsen sound system for Bentley has been developed in close collaboration between Bentley`s and HARMAN International’s audio engineering and design teams to seamlessly integrate into the luxurious interior of the Continental GT Convertible thanks to elegant lines and exclusive materials. A powerful 1,500-watt BeoCore DSP Class-D Amplifier, Digital Signal Processing (DSP) and 16 active speakers provide strong, authentic sound. The iconic design of the speaker grilles is finished in aluminum with holes drilled in various sizes and angles, and shaped to a uniquely-designed Fibonacci hole pattern. 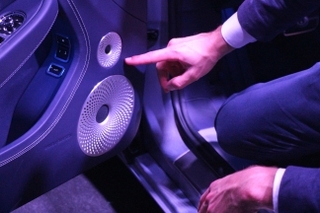 Bentley is the first car brand to feature the Bang & Olufsen BeoSonic One-Touch Experience, offering drivers and passengers a perfect frame for freedom, individuality, and self-expression thanks to its intuitive interfaces and distinct sound spaces that create just the right mood for unique and memorable moments. 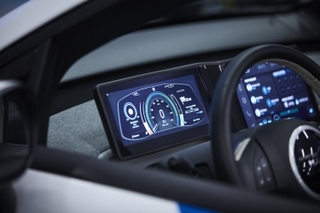 The interface features four different spaces (Bright, Energetic, Warm, Relaxed), enabling the user to adjust the music and surround intensity according to their current mood through an easy-to-use, haptic touchscreen interface integrated into the multimedia system. “The latest studies prove that music has a significant impact on our mood and people feel good after listening to music. 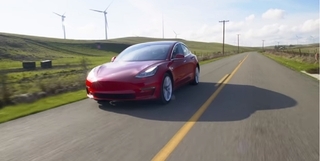 Bang & Olufsen BeoSonic is a great technology which enables drivers to experience the different elements of a track - like the beat, the tempo and the “valence” of a song - which influence our mood in a new and exciting way,” said Greg Sikora, Head of Acoustic Systems Engineering at HARMAN.